Anita Stratton Wilborn Graham died Sunday, September 9, 2018 at Baptist Memorial Hospital in Southaven, Mississippi after a brief illness. Anita was born in 1935 to Lucien Stratton and Irene Wesley Stratton in Rolling Fork, Mississippi. She was one of six siblings. Anita graduated from Rolling Fork High School and then attended the University of Southern Mississippi. In 1956, she received a Bachelor’s of Science degree in chemistry and mathematics from USM. That same year, Anita became an instructor at Northwest Mississippi Junior (Community) College at the young age of twenty. Later, Anita completed a Master of Science degree in mathematics from the University of Mississippi. During forty-two years of being an instructor at Northwest, Anita taught courses such as Algebra, Calculus, Differential Equations and Physics. She educated future engineers, scientists, pharmacists, doctors, lawyers and teachers. As a master teacher, she taught and influenced an innumerable quantity of students, and in addition, she mentored and encouraged her fellow faculty members. These students and co-workers cherish the memories, care, support and example that Anita shared through a life of integrity and honor. 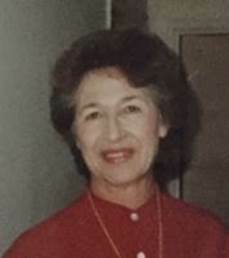 In May of 1998, Anita retired from teaching at the college. In retirement, she enjoyed travel and various other hobbies. In 2013, the faculty of the Mathematics Division at Northwest endowed a scholarship in Anita’s honor. The scholarship is awarded to a deserving academic mathematics major or pre-engineering major and will be a lasting tribute to Anita’s devotion to her students and her profession. Throughout her life, Anita enjoyed and appreciated sports and competition of all kinds. She enjoyed playing basketball, playing golf, taking ballroom dance lessons and playing bridge in her bridge club. Though hardships were present in her exemplary life, Anita lived a true example of joy and peace through those hardships. Anita’s wit and sense of humor made those who knew her best fully appreciate this rare quality. She intensely loved her step-daughter Gail Wilborn who died at the young age of twenty-five in 1982. Anita was also married to well-respected men, first to Thomas Wilborn who died in 1990. In 2004, Anita married Carney Graham who passed away in April of this year.Throughout the illnesses of these men, Anita was a comfort and constant caregiver. Anita was preceded in death by her parents, two brothers Lucien Moore Stratton Jr. and Raymond Leroy Stratton (DDS), husbands Thomas Wilborn and Carney Graham, her stepdaughter Gail Wilborn and her stepson Rickey Graham. Her sisters Eloise Stratton Walker, Virginia Stratton Hovis, Ann Wells Dale, her stepson Billy Graham, and stepdaughter-in-law, Susan Graham, survive her. In addition, she leaves behind numerous beloved nephews, nieces, former coworkers and friends. All memorials should be sent to the Anita Stratton Wilborn Graham Endowment Scholarship or to the Gail Wilborn Endowment Scholarship (for nursing students) at Northwest Mississippi Community College, Foundation Office, 4975 Highway 51 North, Senatobia, Mississippi 38668.